Evolving Wisdom, in collaboration with some of today’s leading transformational teachers, authors and experts, offers programs designed to powerfully shift your worldview and uplift your approach to life. 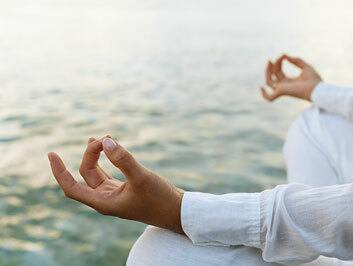 Utilizing the principles and practices of integral and evolutionary psychology, scientific theory, meditation and other spiritual practices, Evolving Wisdom is at the forefront of experiential, transformative education today for the purpose of inspiring opportunities for profound personal & spiritual transformation and development. Discover the life-changing teaching of Integral Enlightenment with originator and teacher Craig Hamilton. 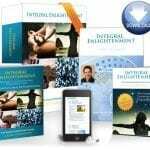 Through a range of intensive, live and virtual courses, Craig imparts the basic meditative, contemplative and engaged life transformative practices of Integral Enlightenment. Over 9 consecutive weeks, this course is designed to push the leading edge of our individual and collective potential. You can own and participate in an intensive program that has guided over 6,000 people in more than 50 countries around the world in discovering the profound meaning and purpose of a life aligned with the impulse of evolution. You’ll learn how to tap into the limitless energy and creativity of the “evolutionary self,” meet the essential challenge of evolving beyond ego, and become the human you’ve longed to be—and that the world needs you to be. Discover a revolutionary approach to meditation that can genuinely open you to the miracle of awakened consciousness, and more importantly, give you the tools to sustain and deepen this awakening over time. The insights and practices Craig shares in the groundbreaking 12 modules form a step-by-step path to lasting transformation. The comprehensive program utilizes weekly video introductions, 90-minute course sessions, multiple guided audio meditations, and coaching sessions to provide you with all the support you need to integrate the profound Practice of Direct Awakening into your life—and provide you with spiritual sustenance for years to come. Whether you’ve been curious about trying meditation, hoping to reinvigorate a lapsed practice, or have been meditating for years, Craig Hamilton designed Journey Into Freedom to support a lifetime of meditative discovery and unfolding. This acclaimed audio program includes 35 distinctive practices and teachings, along with supportive instructional material—sequenced to guide you on a clear, consistent path that fulfills meditation’s deepest potential. Craig’s flexible, contemporary approach takes you beyond the limitations you may have encountered with other methods—and brings meditation to life. Join Integral Enlightenment Founder Craig Hamilton for an in-depth look at the core shifts that have the power to propel us beyond the confines of the separate ego and into a life of wholehearted, liberated engagement with the evolutionary process. Join Craig Hamilton for a life-changing online global gathering. 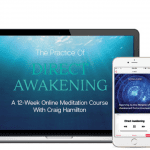 In Meditation 2.0 – The Miracle of Direct Awakening, Craig will share the groundbreaking discovery that is transforming our understanding of spiritual practice. Learn how to unleash the energy of authentic awakening into every area of your life. Register at no charge here. Experience the teachings of modern-day spiritual messenger Neale Donald Walsch, bestselling author of the Conversations with God series of books. His virtual programs will show you how to deepen your connection to God/Spirit/the Universe and live the highest spiritual ideals and practices in your everyday life. After almost two decades of teaching, Neale Donald Walsch has identified the shifts that are essential to fully experience your life as God. If you’ve tried praying, meditating, reading the Bible, doing yoga, or engaged in any of the myriad forms of contemplative practice, but still don’t feel a lasting and consistent relationship to your own Divinity, this essential 7-week course was designed with you in mind. Neale teaches his original, practical, 7-step process by which you can live your life as the Divine spark you truly are. He’ll share the 7 core shifts that will enable you to get “mind” out of the way, to find your own direct access to infinite wisdom, and have your own conversation with God. You have an inner compass (even if you don’t sense it yet) to guide you, in every single moment, to experiences and actions that will enrich and fulfill you in all kinds of wonderful ways. Develop a deep connection to your soul, and it will completely transform your life into the very one you sense you’re supposed to be living. Neale Donald Walsch has uncovered a surprising spiritual key to lasting happiness that no one else seems to be talking about… and in this advanced mentoring course you’ll take a deep dive with him into 6 life areas where you can apply this key to experience new inspiration, growth, healing and connection. You sense the possibility of a more intimate relationship with the Divine, an intimacy that would enable you to feel passionately and radically alive. For the first time in the 15 years since publishing the first Conversations with God book, author and spiritual messenger Neale Donald Walsch will be revealing how to end to the pain, struggle and confusion in life. Neale Donald Walsch shares his most important insights since Book One of Conversations with God. Learn how you can live your life each day deeply connected to your soul. In this audio seminar you’ll discover how to transform mistakes in any area of your life into miracles that will encourage growth and inspire you to reach your goals, using simple techniques to create long-lasting happiness, fulfillment and spiritual connection—regardless of your exterior circumstances. Discover one of the leading voices in the emerging field of Integral Evolutionary Leadership, acclaimed spiritual teacher Terry Patten. Terry co-authored, Integral Life Practice: A 21st-Century Blueprint for Physical Health, Emotional Balance, Mental Clarity, and Spiritual Awakening with Ken Wilber, and his programs take a deep dive into those powerful Integral teachings. Terry Patten presents his complete introduction to integral spiritual practice in this 8-week online course. Consisting of audio, video, written and fully illustrated materials, in-depth meditation instruction and contemplation exercises, physical practices and a dedicated online support community for all participants, I.S.P. is the world’s first and foremost online training in integral spiritual practice. Join spiritual teacher Terry Patten as he shares his teachings, inspiring stories, and easy-to-follow practical exercises to help you discover how to identify and overcome the false perceptions that are holding back your own unlimited capacity for conscious evolution.